Before Han Solo became its captain, the Millennium Falcon was in the care of Lando Calrissian. But thanks to the skilled piloting of Han Solo, and some enlightened navigation, this modified Corellian YT-1300 light freighter famously completed the Kessel Run in 12 parsecs. Young Lando Calrissian, L3-37 and Lando's Millennium Falcon can be seen in Solo: A Star Wars Story™, in theaters now. 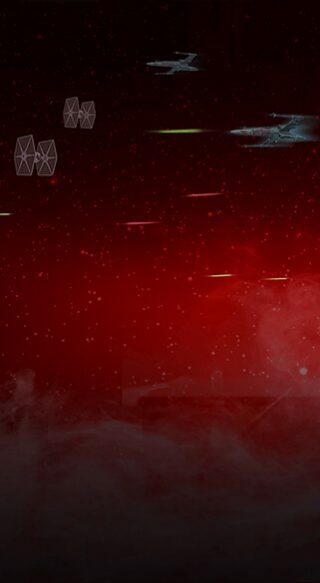 And now, they can be unlocked in Star Wars™: Galaxy of Heroes™. Young Lando continues the recent trend of Smugglers granting Prepared and gaining huge advantages from the status effect. His basic ability can be downright scary for the opposing team, potentially allowing him to attack 5 times in rapid succession and can't be countered. His other abilities grant significant buffs and stat bonuses to all allies with Prepared. The bottom line is that just about every Smuggler team begs to have a Young Lando to bolster their ranks. FINAL TEXT: Deal Physical damage to target enemy and inflict Potency Down for 2 turns, this ability deals 25% more damage for each Prepared ally. If it's Young Lando's turn, enemies can't gain buffs or bonus Turn Meter during this attack. This attack can't be countered. FINAL TEXT: Deal Physical damage to target enemy and inflict Ability Block for 1 turn. At the end of each round there is an 50% chance for each debuffed enemy to lower the cooldown of this ability by 1. Developer's Note: With this ability we wanted to play on Lando's penchant for taking risks. The idea is that the more debuffs you can apply, the more chances Young Lando has to lower his own cooldown each round. Spend Prepared: to reduce this ability's cooldown by 1 and grant that ally Preparation and then all Prepared allies gain Speed Up for 2 turns. 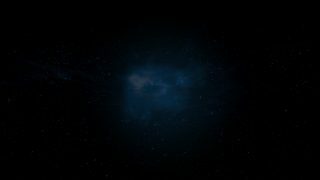 FINAL TEXT: If Young Lando is buffed he has +15% Critical Chance and +15% Critical Damage, additionally if Young Lando is Prepared he has +15% Critical Chance and +15% Critical Damage. At the start of Young Lando's turn, he has a 40% chance to gain Preparation. Additionally, for each debuffed enemy, he has 50% chance each to gain Preparation. Developer's Note: With Perfect Timing we want to try to play up Lando's penchant for taking risks. 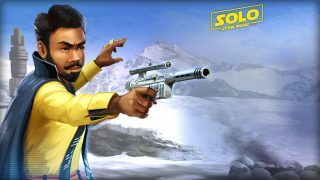 Young Lando has a chance to gain Prepared at the start of his turns, he can receive additional chances to gain Prepared for each debuffed enemy. This ability was made to feel like Young Lando would take as many chances as he could to gain something in his favor. If you're looking for a solid Tank to protect your Smugglers, the buck stops with L3-37. Let's start with her second unique ability, Self Modification, which improves her stats each turn for four consecutive turns. Combined with her first unique ability, Like Clockwork, which can grant stacking Max Health for the remainder of the battle, and L3 potentially becomes an incredibly difficult Tank to neutralize for even the strongest of opponents. FINAL TEXT: Deal Physical damage to target enemy and inflict Defense Down for 2 turns. If L3-37 is Prepared she gains +10% Max Health (stacking) until end of encounter. FINAL TEXT: Deal Physical damage to all enemies and gain Taunt for 1 turns. Spend Prepared: to heal all Scoundrel and Droid allies for 30% of L3's Max Health, then grant all Prepared allies Tenacity Up for 2 turns and reduce this ability's cooldown by 1 if any other allies are Prepared. FINAL TEXT: At the start of L3-37's turns, if L3-37 didn't take damage from an enemy since her last turn she gains Prepared. Whenever L3-37 takes damage from an attack, dispel debuffs from a random debuffed Scoundrel ally at the end of the round. Whenever another Droid or Scoundrel ally takes damage from an attack, L3-37 gains +10% Turn Meter. The first time each other Droid ally is reduced to 1% Health, they equalize Health with L3-37. FINAL TEXT: L3-37 has +5% Tenacity. When L3-37 becomes Prepared, she gains Taunt for 1 turn. In battle L3-37 gains a new Special ability, Enhance MK I: L3-37 gains Preparation, as well as +35% Counter Chance for the rest of the battle. This ability may only be used once. Enhance MK I: L3-37 gains Prepared, as well as +35% Counter Chance for the rest of the battle. When used, this ability becomes Enhance MK II. Enhance MK II: L3-37 gains Prepared, as well as +30% Critical Avoidance and +100% Defense for the rest of the battle. When used, this ability becomes Enhance MK III. Enhance MK III: L3-37 gains Prepared, as well as +65% Counter Chance for the rest of the battle. This ability may only be used once. Developer's Note: With this ability we wanted to try to capture the self-modifying aspect of L3-37. Self Modifying is what makes her feel different from other droids, this is why we felt this ability would stand out to players as a key part of her character and make it feel like you're making modifications to L3-37 when using this ability. This variant of the Falcon has an "Enter Battle" effect, when called as a reinforcement, that grants bonus protection to the healthiest ally and the Falcon gains all ally buffs (except Taunt). FINAL TEXT: Deal Physical damage to target enemy with a 70% chance to gain Defense Penetration Up for 2 turns. If the Falcon already had Defense Penetration Up, grant it to another random ally for 2 turns. FINAL TEXT: Deal Physical damage to target enemy and inflict Offense Down for 2 turns. This attack deals 50% more damage against debuffed enemies. FINAL TEXT: Deal Physical damage to target enemy and Dispel all buffs on them. The Falcon gains +10% Critical Chance (stacking) and +10% Offense (stacking) for each buff dispelled until the end of the encounter. FINAL TEXT: Millennium Falcon has +10% Critical Damage for each enemy without buffs. At the start of its turn, the Falcon has a 50% chance each to Dispel a random ally debuff, Dispel a random enemy buff, Target Lock a random enemy, and inflict Speed Down on a random ally. These effects can't be Evaded or Resisted. Developer's Note: With this version of the Millennium Falcon, we want to showcase the risk-taking side of Lando Calrissian. When you take risks, sometimes the odds can work in your favor, sometimes not. That's why Coin Toss has a chance to trigger one or more devastating effects on your enemies. FINAL TEXT: Enter Battle: Copy all buffs on all other Ships for 2 turns. Millennium Falcon takes a bonus turn for each Reinforcement previously called in by the allied Capital Ship this encounter. Reset all cooldowns on this ship at the start of each bonus turn. 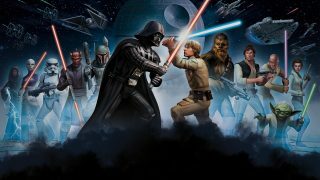 Developer's Note: Continuing the theme, "All In" is an ability that has the possibility to turn a seemingly lost battle into victory by allowing the Millennium Falcon take multiple turns upon being called in as Reinforcement.